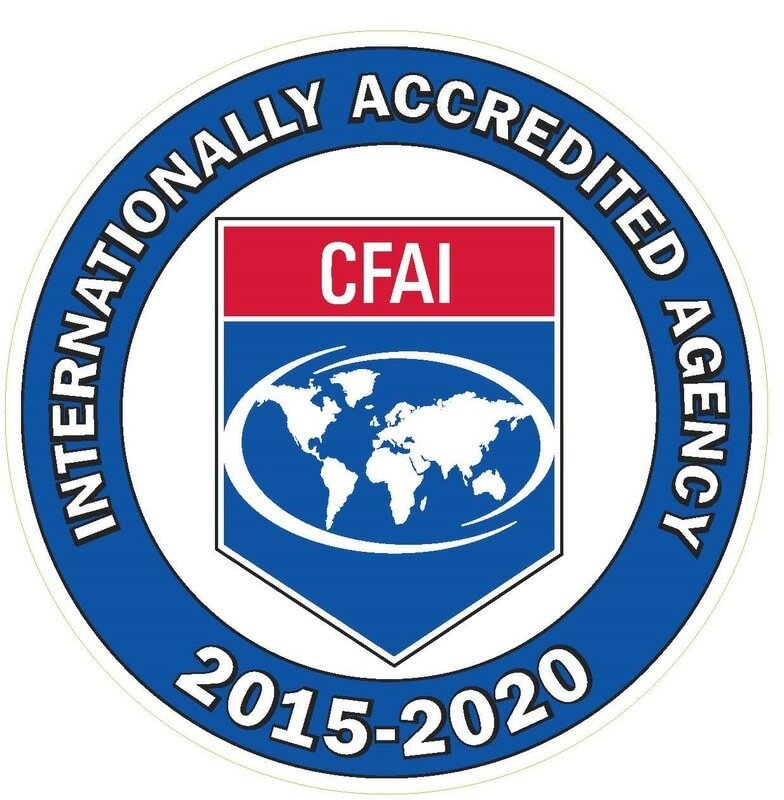 The Maryville Fire Department is accredited by the Commission on Fire Accreditation International (CFAI). Citizens may now apply for a burn permit for certain materials. Permits are issued at the sole discretion of the City of Maryville Fire Department. They can be revoked at any time by the Fire Chief or his designee. To apply for a burn permit, please complete the pdf above and click here to email. Fill out the attached form, save it to your computer, attach the saved form and send to MFDpermit@maryville-tn.gov. You can also call or come to the Fire Department to get a hard copy of the application or call 273-3655. Please read the requirements and prohibited items that are NOT ALLOWED to be burned. The City of Maryville Fire Department shall be notified on the day of the planned burning in order to visit the site for the issuance of a permit. Permits are valid only for the date issued. Open burning fires greater than 3 feet in diameter shall not be closer than 50 feet from a structure or an adjoining property line. Fires less than 3 feet in diameter shall not be closer than 25 feet. Burning will not be allowed if it is determined that such burning could constitute a hazard to vehicle traffic. The site shall have a reliable source of extinguishing agent. These agents include water, fire extinguishers, or earth moving equipment, or a combination to be determined by the City of Maryville Fire Department. Contractors shall be allowed to build a fire in an enclosed container (such as a 55 gallon drum) for the purpose of warmth for workers when cold weather conditions are present. One drum per construction site will be allowed. The fire shall be constantly attended and shall be completely extinguished before dark. No permits will be issued if weather conditions or local circumstances indicate a hazardous situation could be created. Persons obtaining a permit will be responsible for any damage incurred including that of adjacent property owners. Permits will not be issued for land development except with the use of an air curtain or air curtain incinerator. Complaints regarding smoke from adjacent property owners could result in the permit being voided whereby the fire would have to be extinguished. No flammable liquids are to be used.